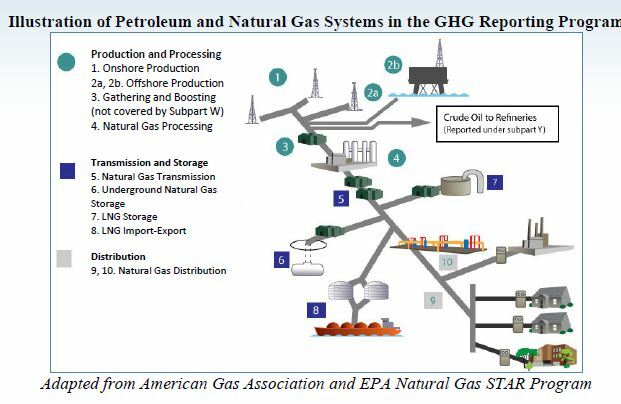 The US Environmental Protection Agency has recently issued its report on greenhouse gas emissions under its Greenhouse Gas Reporting Program, which for the first time includes comprehensive reported emissions from the petroleum industry. The report covers 8,000 facilities in nine industry sectors for 2011, and total reported emissions were 3.3 billion metric tons of carbon dioxide equivalent (CO2e). 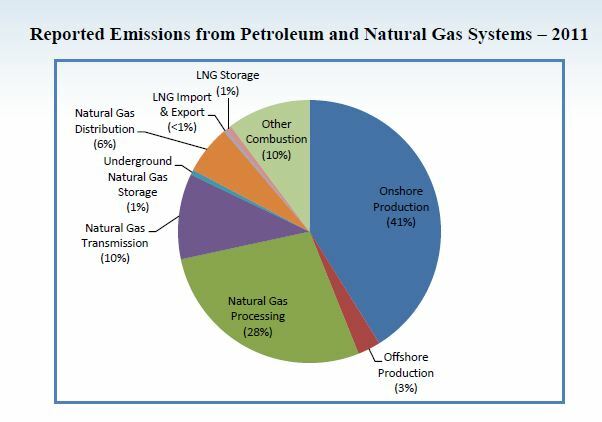 Total reported emissions of CO2e from petroleum and natural gas systems were 225 million metric tons CO2e. “CO2e” is a way to compare the global-warming potential of different greenhouse gases – their potential to trap heat in the atmosphere — by converting their emissions to the equivalent global-warming potential of carbon dioxide. Greenhouse gasses include carbon dioxide, methane (natural gas), nitrous oxide, and flourinated gases. Each of those gases has a CO2e. The CO2e of carbon dioxide is “1”. 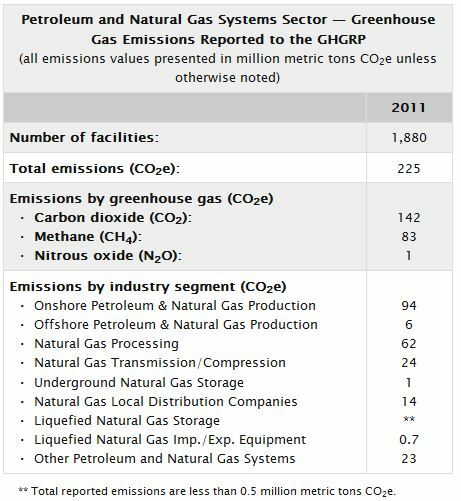 The CO2e of methane, the principal greenhouse gas emitted by the petroleum industry, is 19.1, meaning that one ton of methane has the same global-warming potential of 19.1 tons of CO2. (One ton of methane equals about 48,700 cubic feet.) The debate over whether natural gas is actually less harmful to the environment than coal involves, in part, the question whether the global-warming potential of methane leaked into the atmosphere offsets the fact that burning methane emits less carbon dioxide than burning coal. Because leaking one ton of methane has the same effect as emitting 19.1 tons of carbon dioxide, the facts concerning leaks of methane are important to that debate. 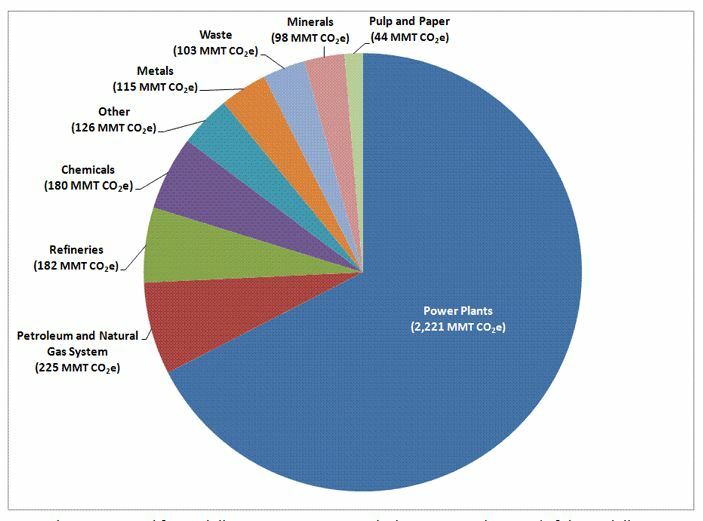 EPA’s estimate of total U.S. greenhouse gas emissions from all sources (including, for example, vehicles and house furnaces) for 2011 is 6.822 billion metric tons CO2e.